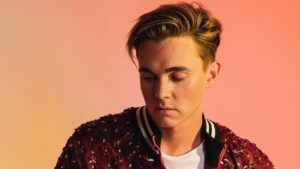 Jesse McCartney has dropped an acoustic version of his new song “Wasted,” which you can check out below. This is his first new track since releasing his 2014 album Technicolor. McCartney will be kicking off his next tour on November 29th in Green Bay, Wisconsin at the Wieder Center and ending on February 19th in Seattle, Washington at Showbox SoDo.